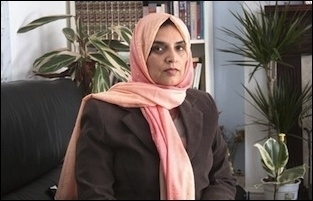 Britain's first female Sharia law judge has issued a brazen warning that flies in the face of UK law, stating that the "government cannot ask Muslims not to have more than one wife." The news comes on the back of a report by the Times newspaper which claims that Britain is experiencing a "surge" in Sharia marriages, as young British Muslims adopt a more hardline religious stance than their parents. As many as 100,000 couples are living in such marriages, which are not valid under UK law, experts said. Ministers have raised fears that women can be left without the right to a fair share of assets if the relationship ends, while others are forced to return to abusive "husbands." Muslim Arbitration Tribunals, colloquially known as Sharia courts, have existed in the UK since 1996. While the tribunals are supposed to work within UK law, recent reports suggest that young Muslims are not registering their marriages with the government under UK civil law, instead simply using nikah ceremonies, which can lead to men having a number of wives, and none of the legal responsibilities towards them usually required under the 1949 Marriage Act. Now Amra Bone, who is the UK's first female Sharia council judge, has said that "the government cannot ask Muslims not to have more than one wife. People have a right to decide for themselves," implying that British Muslims are free to operate outside UK law, as a rule unto themselves and the Sharia courts they feel are legitimate.